Juicy Stakes has been hosting a lot of tournaments lately that send the winners to live tournament events all over the world. They've had online satellite tournaments that have sent players to the Caribbean and to Italy. Another poker tournament series has just begun and this time the winner will be going to the Dominican Republic for an all expense paid week of poker. The winner gets a $4000 CPT Punta Cana prize package that includes buy-in to the CPT Punta Cana Main Event and six nights at the five-star Hard Rock Hotel and Casino. The $500,000 Guaranteed Main Event will be held at the Punta Cana Hard Rock Hotel November 3rd to 8th. The $810 + $90 CPT Punta Cana Main Event will play over three days. American poker pro Ari Engel defeated a field of 507 to claim the trophy and $177,045 for his victory in last year's Punta Cana Poker Classic. $4000 CPT Punta Cana prize package includes $900 buy-in to Main Event. 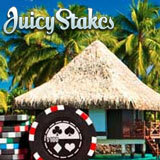 Go for it -- register for Juicy Stakes CPT Punta Cana Satellite Tournaments under the Tournaments tab at Juicy Stakes Poker.